A tea cup, a clogged toilet, a pair of old gym shoes; these innocuous objects are transformed into loaded signifiers of caste in a new collection of short stories by Jamia Millia professor and writer Ajay Navaria. 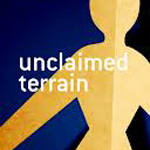 These concrete details and objects anchor the larger discussions of caste – between characters or in narrative asides – within Unclaimed Terrain’s seven short stories, translated from Hindi by Laura Brueck. The most concise story is “New Custom”, in which a teacup becomes a symbol of oppression over the course of a chai stall chat. Two moments of overturned expectations among a small cast propel the plot within the limited backdrop of a village street. Mistaking a Dalit visitor from the city for a landowner, a chaiwalla serves his customer graciously, but things turn nasty when he discovers the man’s caste. 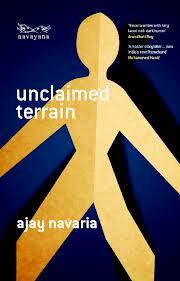 In a rapid, efficient climax that matches the quickness with which a crowd gathers on the scene, Navaria points to entrenched discrimination while hinting at the power of money and education to disrupt it. This story’s economy is impressive, with inequality echoed in its descriptive details: the runt and the pick of a litter of puppies wrestle in the dust; a television broadcasts the American interrogation of Saddam Hussein. Resonant with the dynamics of oppression, the stories sometimes blur together. Recurring themes include fathers and sons, weddings and extra-marital relationships, constrained resources and windfalls and, especially, rural tradition and urban freedom. At times, the prose is too diffuse to make sense of on the first reading – and as Brueck acknowledges in her note, Navaria’s “literary Hindi spliced with English, Rajasthani, and the occasional Punjabi inflection” makes his work “exciting and difficult to translate”. “Hello Premchand” offers a glimpse of further layers of literary allusion in its retelling of Premchand’s classic “Doodh Ka Daam”, the subject of a controversy over its inclusion in NCERT textbooks a few years ago (the story’s opponents protested its “negative” depiction of Dalit characters and the use of the word “bhangi”). Some of the translations of the longer stories gesture at their complexity rather than fully capture it, but what they do capture is engaging and important. In grappling with inequality, at times Navaria’s prose and dialogue seem to purposefully recall the strident tone of historical “literature of the oppressed”. But the little details, like the teacup, keep his fiction grounded in realism while acting as hooks that snag not only the tangled arguments surrounding caste, but also the reader’s attention.